Life without Ninkovich: What now? 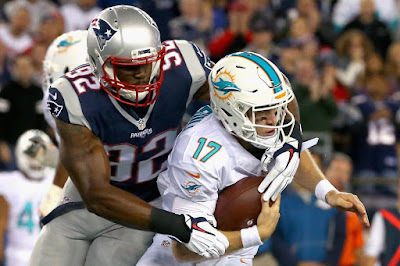 Who will rush the passer now that "Jet Killer" Rob Ninkovich has retired? After eight years, 101 starts, 46 sacks, 14 forced fumbles and countless clutch plays with the Patriots, Rob Ninkovich announced his decision to retire today. He retires at age 33 with his health largely intact and unanimous respect amongst his teammates, coaches and the media who covered him for his approach to the game. However, life goes on. The Patriots will practice again tomorrow, and again the next day, all in preparation for the 2017 season they will now undertake without Ninkovich. With that in mind, how will they fill the snaps that he would have taken amongst their rotation on the edge? Ninkovich's retirement highlights what might be one of the weaker spots on the team at defensive end. We went into camp expected the Pats to largely use a three man rotation of Trey Flowers, Ninkovich and Kony Ealy, with rookie Derek Rivers having a chance to earn a role as a pass rusher in sub packages. Flowers remains set as the top guy here, but Ealy missed the opening practice of camp, apparently due to some situation between himself and Bill Belichick (likely related to an uninjured Ealy leaving a practice early this spring during minicamps). Ealy is back on the practice field now and has the talent to complete an impressive starting duo with Flowers, but his history of inconsistent play and frustrating working relationships with his coaches (he was not exactly showered with praise by the Panthers coaches following his trade to New England) makes him far more of a wild card than a sure, dependable thing. Unfortunately for the Patriots, Ealy's situation and Ninkovich's retirement leaves Flowers as the one sure, dependable thing left on the depth chart. The rest of the competition consists of third year man Geneo Grissom and rookies Derek Rivers and Deatrich Wise. Grissom has stuck around in New England due to his special teams ability, but has yet to sniff meaningful playing time on defense. Almost a year after getting cut at the end of last year's camp (he wound up on the practice squad before getting promoted back to the active roster in season), Grissom finds himself currently working with the 1s in practice. His ability to hold up against starting caliber tackles bears monitoring, as he's received very few reps against that level of competition before now. Wise and Rivers, meanwhile, are unlikely to be counted on for major snaps in their rookie seasons. The path to playing time could be clearer for Rivers, the teams' top draft pick from this spring. At 6'4" and 250 pounds, Rivers might need a year in the weight room before the team feels comfortable with him as an edge setter against the run. However, he's the most explosive athlete on the depth chart and could give the Pats a spark as a pure speed rusher on the edge. With Flowers more effective bumping inside on passing downs, there's a need on this team for someone who can rush off the edge. On third downs and obvious passing situations, that role could be Rivers', although he'll have to prove his readiness this summer. Wise, on the other hand, projects as more of an inside/outside hybrid on the defensive line. Like Flowers, he might be a guy who is best utilized as an edge-setting brawler who can bump inside on passing downs. With his role expected to include more snaps against the run, he might face a steeper learning curve as a rookie (not to mention more competition for snaps). With the position group this thin, the Pats might turn to their versatile group of linebackers to help fill the void. 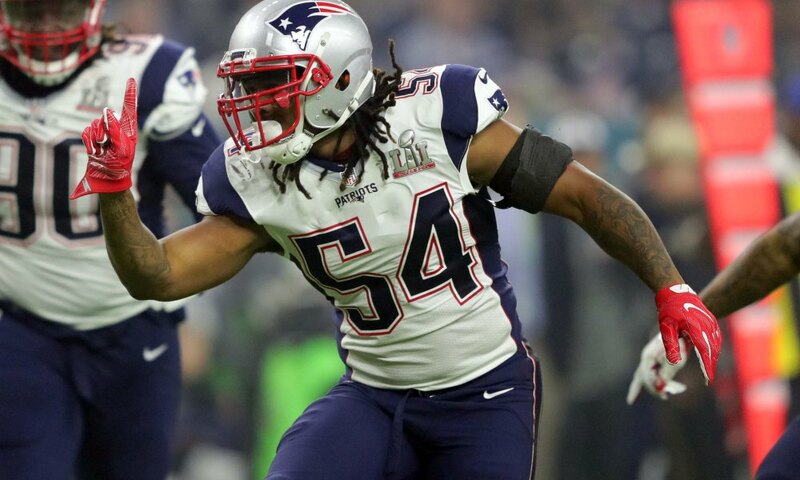 Early downs could see the Pats use either Dont'a Hightower or Shea McClellin as an edge setting strong side linebacker. With a linebacker doing a defensive ends job, there would be less stress on the Pats unproven defensive end depth, with Flowers likely playing the bulk of the early down snaps across from Hightower or McClellin. Using that approach would have a ripple effect of opening up more snaps at off-the-ball linebacker. Second year man Elandon Roberts specifically might benefit from more snaps on the edge for Hightower. I thought the redundancy of his downhill thumper style with those of Hightower and veteran David Harris could leave him on the outside looking in for playing time. Now I can envision early down looks featuring Harris and Roberts at off the ball linebacker, with Hightower setting the edge on the strong side. Throw in a few of the top defensive tackles on this team and Flowers on the other edge and you have an intimidating front to try to run against. The linebackers on this team could come into play on the edge in passing situations as well. We already know plenty about Dont'a Hightower's pass rushing prowess (just ask Matt Ryan), but it was interesting to see Kyle Van Noy and Harvy Langi get involved in the one on one pass rushing drills against offensive tackles. A former high second round pick, Van Noy carved out a role for himself last season on passing downs, where the Pats took advantage of his athleticism in space. While I ultimately expect him to be used more often in space this year, he has enough pass rushing ability to factor into that mix, particularly if Rivers faces a steeper than expected learning curve. Langi is more of a wild card. The Patriots had long been rumored to be after him throughout his college career, and they made him the highest paid undrafted rookie in football this spring to ensure landing him. Like Van Noy, he has experience rushing the edge as a defensive end, but has looked his best as an off-the-ball linebacker, where he can use his athleticism in space. He's no sure bet to even make the team, but a strong camp could see him push for passing down snaps, where he could be used either in coverage or as a rusher. It's important to note that it's very possible the Patriots will be fine sticking with what they have at defensive end. With Hightower and McClellin likely to eat up a decent portion of the snaps, a rotation of Flowers, Ealy and possibly Rivers could be more than enough, especially if the later two play up to their athletic potential. There's some risk involved with that strategy due to how much of a wild card Ealy is, but they should ultimately expect him to show up and play ball given his status as an impending free agent who could earn a massive payday with a productive season. Still, it might not hurt to give free agent Dwight Freeney a call. The 37 year old future Hall of Famer continues to produce, giving the Falcons eight sacks in 11 games last year before giving Nate Solder hell in the Super Bowl. All reports indicate that Freeney plans to play this season, likely for the Falcons. 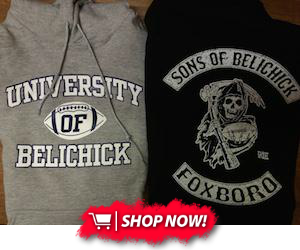 However, he hasn't signed yet and has expressed his respect for the Patriots organization countless times. Landing the longtime Brady nemesis is likely a long-shot given his recent loyalties to the Falcons, but it's worth at least considering. He'd provide a perfect short-term fix as a pass rusher in the rotation while also being a valuable mentor for youngsters like Rivers, Wise and Ealy.